What would museums do without visitors? Today museums recognise and relish their duty to be truly relevant for a diverse audience. Many museums strive to increase not only their overall number of visitors, but also the diversity of those engaging with their collections and offers. Audience development, first established in a commercial context, is a powerful tool for museums to identify and attract new audiences long-term, while retaining existing groups of users. This international two-day conference, aimed primarily at museum professionals, explores the power of audience development and outlines ways in which museums can benefit from its methods to make the best of their collections for the best of their public – regardless of their location, size, budget and type of collection. Following papers and case studies on Monday, workshops offer hands-on advice on Tuesday. In the end, it’s a question of quality. Audience development as a holistic concept for museum management. 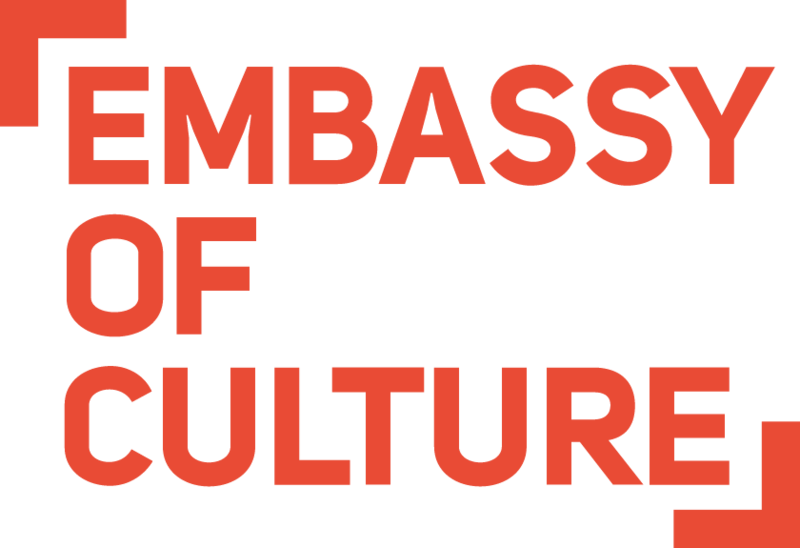 Dr. Matthias Henkel, EMBASSY OF CULTURE, Berlin, Germany. Usually we are talking about content and exhibits, when we think about the profil of museums; often we are thinking about context and recontextualisation; sometimes we are discussing about audience, visitor journey and advertising; but we rarely talk about brand-based communication, distinctiveness and the skills of the staff. Now we should begin to talk about all of these aspects simultaneously – based on a holistic understanding of Audience Development; keeping a close eye on quality. That will be the beginning of the era of museums with a great benefit for your societies: sensitive, sensual, truthful and sensemaking. Therefore we need a new understanding of the function of museums in our societies. Ultimately, it is about how museums can make a relevant contribution to the development of our increasingly diversified world. We need a radical change of perspective; it‘s about making the knowledge accumulated in the museums usable for the needs and necessities of the 21st century. This paradigm shift should not lead to giving up the traditional core competencies of the museums – because these skills will be needed in the future, too. What tools and strategies can be helpful? 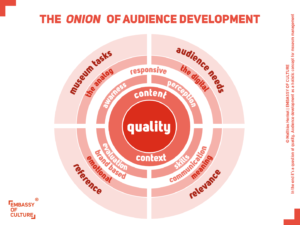 The „Onion of Audience Development“ could be a helpful word painting – a good tool to make the museum a social medium.